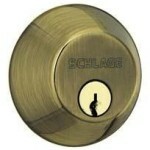 Residential locks are available in a wide variety of grades and styles ranging from decorative to high security locks. 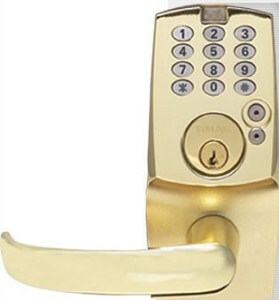 If you are unsure of the type of lock that will best meet your needs, our knowledgeable locksmiths will gladly recommend the right lock and offer suggestions of how and where to install it. 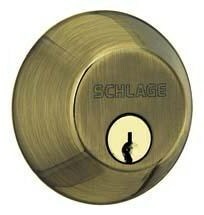 Commercial-grade locks are paramount in keeping an establishment safe and secure. We understand that it is necessary to safeguard employees and valuables within while at the same time providing reliable exits and secure entrances. We can assist you with keeping your business, office, or company up to code. Rely on our experienced service technicians to provide professional recommendations and high-quality locks. For over eighty years York County has trusted Kleppers to duplicate keys. Over the years, we have developed a large inventory of key blanks. For this reason we are able to offer our customers duplicates of keys that are very difficult to find anywhere else such as antique skeleton keys, motorcycle keys, truck keys, automotive keys, towel dispenser keys, furniture lock keys, residential and commercial lock keys, and many more. Master keying is a key duplication system that was developed so that companies could accurately and effectively control who has access to specified areas of a building and how those areas are accessed. A masterkey allows the holder to access all areas of a building while other key holders are restricted to particular areas. This is an excellent way to organize and control access. 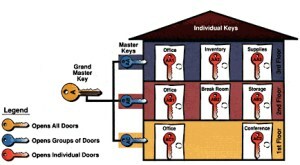 We will assist you with designing an organized system that and keep and will maintain accurate records of the quantity of keys that were cut, where the keys work, and guarantee that only the masterkey controls all areas. Our mobile service technicians can professionally install any of our products in your home. If you would prefer to handle the installation on your own we will gladly sell you a product of your liking in our locksmith shop and provide guidance and information to ensure that installation is successful. We invite you to visit our shop and personally choose the locks and/or hardware you would like to have installed in your home. Our service technicians will be happy to answer any questions you may have and offer expert advice. After making your selection, you may schedule a service call for a date and time that is convenient for you. If you would prefer, you may schedule a site survey first and a mobile service technician will come to your home and provide you with a free estimate and recommendations before you schedule a service call.